Sean Miller pictured here with his brother Archie recently reached out to Ed Schilling who was then a UCLA basketball assistant coach to see about his interest in going to work with his little brother Archie in Indian. This got the ball rolling and ended with him leaving UCLA. 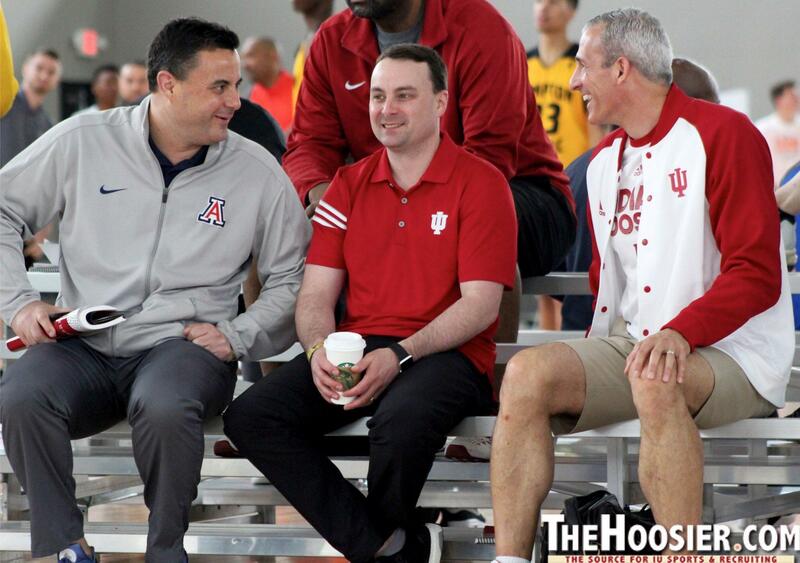 Miller knew that Archie could really use Schilling for recruiting & Ed wanted to go back to Indiana. Sean didn't want his good buddy (Sean Miller's best man at his wedding) to keep helping UCLA, so he pretty much got him out of there. This was a win win situation all the way around. Was this Miller's plan the whole time? Probably not, but you know once he found out his brother was going to become the head coach of the Hoosiers Schilling was the first person he called. I bet Alford is regretting taking that end of game timeout to bask in the glow of the win at Mckale Center with his son. One thing's certain, You don't mess with Sean Miller. The old man looks like he's in better shape than either of his sons. Is it a for-sure that the man in the Hoosier warmup is John Miller? He looks too young, even with the gray hair.